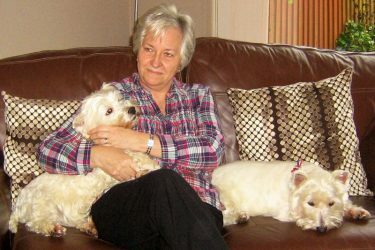 Our home checkers play a large part in the successful rehoming of a westie. They help us to make safer choices, and to establish if the potential home is right and if the family is right for the westie and able to cater for its needs. It goes without saying that our home checkers must be people friendly, as well as sensitive to a dog’s needs. We need volunteers able to have a ‘dog’s eye view’ of the home and garden, looking for gaps in the fence and hazards. They should ask themselves ‘Would I be happy to leave my dog here?’ and rely on their gut feeling to a large extent. Some would be adopters get nervous about the home visit so you may need to reassure them that you aren’t going to be checking on the standard of their housework or running your finger along the mantelpiece! You will be there solely to assess their suitability to offer a loving, safe home to one of our westie. We have a list of guidelines for our home checkers to help you during your visit. Many friendships are made during a home check, and it is always nice to return in a short while to see how the dog is settling in and offer advice if necessary. We believe that there will be a truer picture painted of a dog’s normal behaviour in a domestic environment than in the unnatural and often stressful environment that a kennels can offer. Thus we do not have any one place to house the westies, and are always in need of capable, caring fosterers to take the dogs into their home. Fostering is a temporary arrangement until the right permanent home can be found, with a written agreement to benefit both the fosterer and the organisation. You will naturally want to know what we can offer in terms of emotional and practical support and financial help, whilst we need to be confident that you have the necessary commitment and ability to care for the dog that you are assigned. 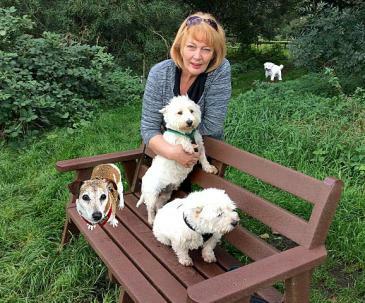 You may be offered a westie that needs to be surrendered by its present owner, a dog with unknown history that was found as a stray, or less frequently, the victim of a cruelty or neglect case. We don’t recommend fostering if you have cats, as most of the westies that come to us are not cat tolerant. Other small furries such as rabbits and guinea pigs should be safely contained where the dog won’t cause them distress. Consider the effect they will have on the dog too which will probably be in a hyperactive and over excited state. How much will the quality of life of a resident dog be affected? Does your dog enjoy the company of other dogs? Are your own dogs neutered? No matter how well intentioned, it is important to accept your limitations. Never be tempted to take on too many dogs at once without having knowledge of handling a multi dog household. Know your limits, or you really won’t be helping any of the dogs by creating further stresses and tensions for them. It is important that your whole family is in agreement with your desire to foster before you commit. If not this may lead to tensions in the family which will create problems for not only you, but the dog that you are trying to help. Please consider also if you have very young children visiting regularly. Do you intend to crate the dog during the night? Your foster dog may not be used to a crate or even tolerate it. If not, can you crate train it? Many westies come in with behavioural problems, which are often the reason for it being relinquished. Do you have the necessary skills to deal with these? One of the most common problems that we see is separation anxiety. This can manifest in several ways, including excessive barking. You will need to consider how tolerant your neighbours may be if this problem arises. Reprimands and further isolation will be counter productive with this problem which as its name suggests is a massive panic attack, which needs an understanding approach. You will bond with your foster dog, and he with you. It is usual to fall in love with the first dog you foster, and when the time comes to part it won’t be easy. You will feel a loss, but if you have done a good job, the pride and happiness you feel when your dog moves on to its permanent home which has been very carefully chosen will compensate for the tears. Safe in the knowledge that you have made a big difference in its life, you will be looking forward to the challenge of your next foster. Volunteers who can transport a dog are always needed. If your vehicle is of a suitable size to take a carrying crate, you have a clean driving license and a little spare time, this is one way in which you can help us. Our westies often need moving into foster, collecting from their home or sometimes kennels, or in certain situations to their new home. Transporting dogs that are already under stress in an unfamiliar environment, and may not be used to traveling in a car can be traumatic. You will need to feel confident and comfortable in that situation and have an understanding of handling dogs. A dog that has not shown aggression previously may react when under stress and so should always be restrained. We always work to avoid putting either the volunteer or the dog at risk at all times. 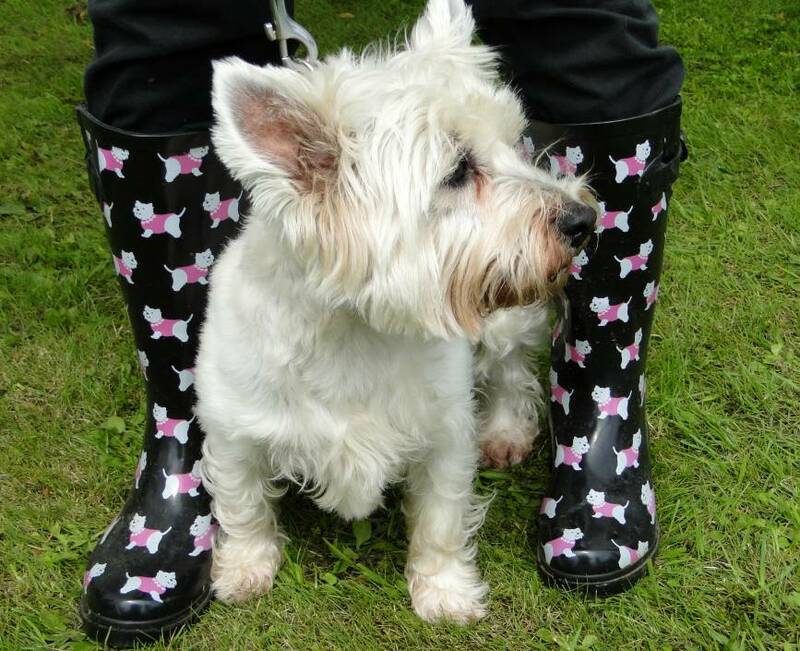 OUR REGISTERED VOLUNTEERS ARE COVERED BY OUR OWN INSURANCE WHILST WORKING FOR WESTIE REHOMING. WE DO NOT OPERATE TRANSPORT CHAINS WITH ANYONE WHO IS NOT A VOLUNTEER REGISTERED WITH US. 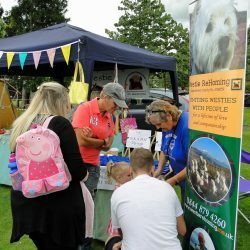 Westie ReHoming relies totally on donations to continue our work and our supporters have in the past come up with some innovative ways to help raise funds for us. 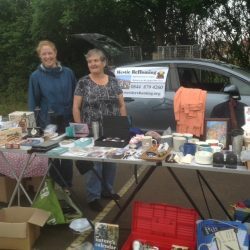 Some ladies hold regular car boot and table top sales and take the stand to fetes. 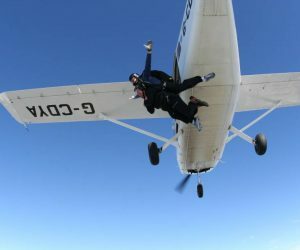 Others have taken part in a half marathon, a sponsored fire walk, sky dive, hosted a themed dinner in a restaurant or a coffee morning. All these things can be great fun as well as helping the westies that come to us and can cost hundreds of pounds in vet bills. Can you think of a way that you can help to boost our much needed funds? We would welcome your ideas and input. “Volunteer” in this instance means any member of the public who has registered with us in order to help with the rehoming process, such as Home Visits, Transportation, Occasional Fostering, and Fundraising. Those wishing to adopt one of our Westies cannot be described as “Volunteers” for the purposes of this page. 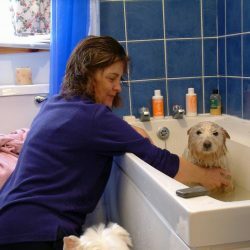 "I have been a volunteer for Westie ReHoming for eleven years now and have never regretted it for one moment. I have made lasting friendships along the way, had some sad times, but mostly some very happy ones, and I have always found the job very rewarding. I am so happy that I can help to make a difference to the westies, and the people who have to give them up, or are lucky enough to adopt one. Every one of the volunteers seem to love what they do, which is why they are all such a happy bunch of people. This is teamwork at its best!!"